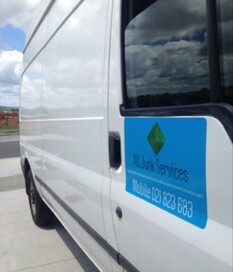 We offer a full junk & rubbish removal service - Auckland wide. Collection of your unwanted household junk, general rubbish, renovation rubbish & green waste...you want it gone, we'll take it! When you need it collected, we'll do our best to fit in with your schedule. If you want it gone, we can take it! We have a Ford Transit LWB Highroof van - if it can fit in it, we'll collect it or deliver it! Call now for an obligation free quote. Awesome service and for a real good price. Will be using again for the next load! Cheers bro! Sorry for the late feedback Ben! Thank you again for all your help! You did most of the work, went out of your way and all with a smile and a laugh. Community needs more people like you who do honest work, deliver great service and don't expect much in return. Don't waste your time with anyone else! If you want someone who will get the job done, won't rip you off - Ben's your man! Needed urgent help with our sisters house moving. Looked up on TM and found Ben, within an hour he was over to look over the contents and as he had room in his van, he decided to load up what he could and even come back the next day to finish it all off and that was on a Sunday and without even seeing a cent yet! A very humble, honest and hardworking family man. Thank you Ben! Met as strangers and ended up as mates. Will definitely recommend you to anyone! Good luck and all the very best! Ben did an awesome job removing some junk for me, came when he said he would, had the job done quickly and for good price. Would definitely use again. I highly recommend Ben! His service was friendly, efficient and reliable, I was really impressed. I have already recommended Ben to my family for a job they need doing - and he is also doing a Trade Me purchase pick up for me this week too. Fantastic! Ben: Thanks for the positive feedback! Feel free to contact me again, if you need any further work completed! Cheers... Ben. HIGHLY RECOMMENDED! We have a very long and downward sloping driveway which is a problem for most waste removal companies. Ben had no issue with this as he had a van. He took all our green waste (big and small branches and other garden waste) and timber fence pieces in one van load. He did this in rainy weather. VERY VERY HAPPY WITH THE PRICE! I have been quoted over twice the price for this rubbish removal by other companies. Highly recommended! **Greenwaste removal** excellent communication skills, prompt response to TM inquiry. Very friendly and polite. Arrived within a couple of hours of calling, cleaned up our pile of greenwaste - really easy and hassle free. Very fair price for such a huge van load of waste and his labour to load it. Thank you!